His first book, Nymph Fishing, A History of The Art and Practice was published by Swan Hill Press in England, and in the USA by Stackpole Books, in November 2005. Since then he has written Fly Fishing in Rivers and Streams (2007), Flies That Catch Trout (2009), Marryat, Prince of Fly Fishers (2010) and The Upstream Wet Fly (2011). His most recent books are The Fly is Up which he published as an e-book and a paperback, and Become a Fly Fisher, the guide for anyone new to fly fishing. See What's new? He has had articles published in leading UK magazines including Fly Fishing & Fly Tying and Trout and Salmon; Flyfishing & Tying Journal in the USA; FlyLife in Australia and Kajman in the Czech Republic. His most recent article - about fishing vicars - was published in The Church Times. 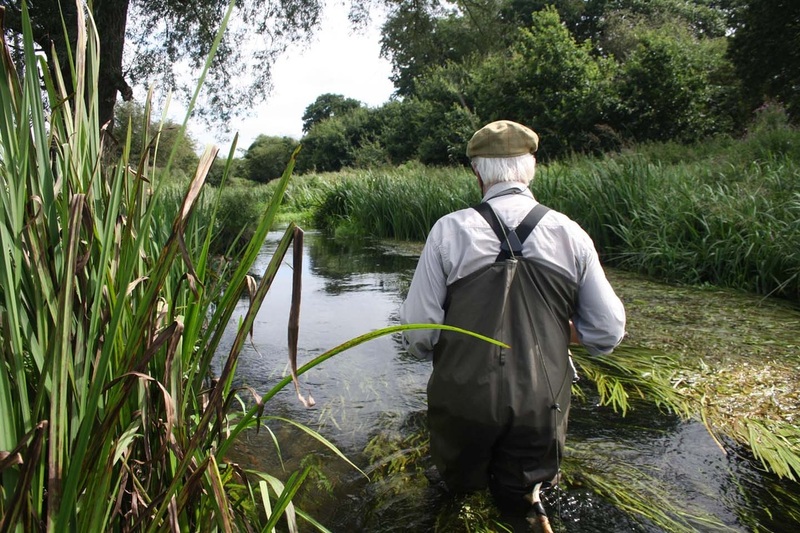 He is very happy to recommend places to fish, particularly in Norfolk, and can provide practical fishing instruction and guiding with a particular interest in nymph fishing. He made his first visit to New Zealand this year where he fished five rivers on the Suth Island and six on the North as well as a shirt session on Lake Rotorua. He is also actively involved in managing a fishery and river restoration works.